Aruba Networks is teaming with Juniper Networks to deliver decure enterprise mobility solutions – including RFID-based services – to joint customers. For starters, the collaboration ensures that Aruba mobility controllers are pre-tested for interoperability with Juniper’s firewall/VPN devices and AAA/802.1X solutions to save enterprises the operational costs of integrating multiple systems. The two companies have already signed their first customer, McCarran International Airport (LAS) in Las Vegas. Key beneficiaries of the joint effort include Distributed Enterprises that have mission-critical wireless networks in branches: Wireless is quickly becoming the primary connectivity method for enterprise branch offices where multiple mission-critical applications including data, voice, barcode scanning, inventory management, active RFID and asset tracking need to be supported. 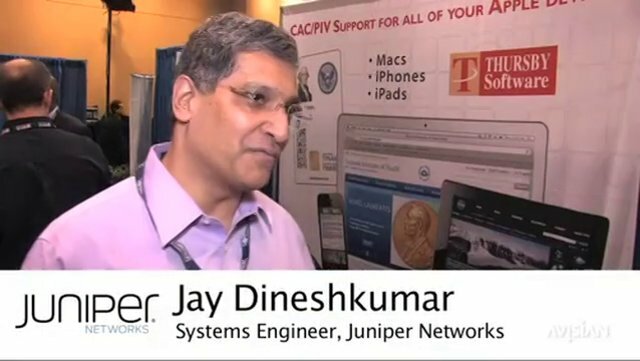 Edge Company, today announced it has joined the Juniper Networks, Inc.
customers to extend their investment in Juniper’s security products across their mobile workforces. The joint collaboration ensures that Aruba mobility controllers are pre-tested for interoperability with Juniper’s firewall/VPN devices and AAA/802.1X solutions to save enterprises the operational costs of integrating multiple systems. The two companies have already signed their first customer, McCarran International Airport (LAS) in Las Vegas. McCarran ranks as the fifth busiest airport in the United States, based on passenger traffic. In 2005, it decided to provide free, open Wi-Fi access throughout the airport, and needed to ensure its solution would provide network protection from the thousands of guest users who would be logging on every day. McCarran selected the Aruba and Juniper solution to provide a secure WLAN infrastructure for its mobile workforce and guest users. – Distributed Enterprises that have mission-critical wireless networks in branches: Wireless is quickly becoming the primary connectivity method for enterprise branch offices where multiple mission-critical applications including data, voice, barcode scanning, inventory management, active RFID and asset tracking need to be supported. The Aruba 200 series mobility controller is purpose-built for such deployments and controls up to six access points and can be deployed as the sole network services device for a retail outlet by setting up a secure IPSEC VPN tunnel to any Juniper firewall/VPN device. – Government Organizations: The Department of Defense’s directive 8100.2 requires Layer 2 encryption for wireless deployments and Aruba and Juniper can deliver a complete FIPS 140-2 validated 802.11i solution today. Additionally, xSec, a FIPS 140-2 validated security protocol provides 802.1X and AES encryption as an interim step to enable 802.11i class security for wired and legacy wireless clients. secure mobility systems, facilitating interoperability with open solutions throughout the enterprise network.